Beccles Farmers Market – Page 4 – "Bringing you fresh local produce at affordable prices"
❄ SORRY NO BECCLES FARMERS MARKET THIS WEEKEND (3rd March) ❄ Due to #Snowmaggedon #beastfromtheeast ... our next Farmers Market will now be on Saturday 17th March Sorry for any inconvenience caused - do stay home and wrap up warm! Beccles Farmers Market Saturday 17th Feb! Posted byhundredriver February 15, 2018 Posted inUncategorizedLeave a comment on Beccles Farmers Market Saturday 17th Feb! 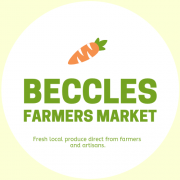 Sorry – No Beccles Farmers Market this weekend! Posted byhundredriver January 4, 2018 Posted inUncategorizedLeave a comment on Sorry – No Beccles Farmers Market this weekend! Posted byhundredriver December 20, 2017 December 20, 2017 Posted inUncategorizedLeave a comment on Get your Christmas orders in for this Saturday! Posted byhundredriver November 29, 2017 Posted inUncategorizedLeave a comment on Christmas Market Announcement!